Paraguay’s literacy rate is higher than that of the United States. Paraguay’s citizens age 15 and older read and write at a 94 percent literacy rate, compared to 86 percent for the U.S. The spiritual guide led Gustavo into a room to communicate with dead people in Paraguay’s capital, Asunción. “They will give some answers that you need,” the spiritual guide said. Gustavo desperately wanted answers. He struggled to sleep at night and was meditating twice a day — an hour in the morning and an hour in the evening — to cope with stress. The meditation offered peace for a while, but then the stress returned a hundredfold. With the spiritual guide, he heard distorted voices, yelling, in the room. He saw people walking around and disappearing. They resembled demons. After the experience, Gustavo looked back on his life. His parents, who belonged to another Christian denomination, enrolled him in a Seventh-day Adventist school at the age of 12 at the recommendation of a neighbor. He showed little interest in the school’s Bible classes, and neighborhood friends introduced him to alcohol and drugs during his senior year. Gustavo used marijuana, alcohol, and cocaine on weekends to ease his worries. But then he started to suffer constant headaches and nausea. He went to a psychologist for help, and she recommended Eastern meditation. Gustavo found the spiritual guide at an Eastern temple and learned meditation and yoga. To meditate, he repeated a phrase from a dead Indian language again and again. This was supposed to relax him and connect him to a peaceful place where his mind went blank. He sought help from the spiritual guide, who frightened him by taking him to meet supposedly dead people. After baptism, he found a video presentation about “Christian meditation” and decided to try it. He found that the technique mirrored Eastern meditation but, instead of repeating the phrase in the dead Indian language, he repeated words from the Bible. The results shocked him. Gustavo was frozen, unable to move, until he came out of the trance. Afterward, several old friends told Gustavo that voices had instructed them during their own meditations that day to invite him to meditate like before. He also is convinced that yoga is a tool of the devil. 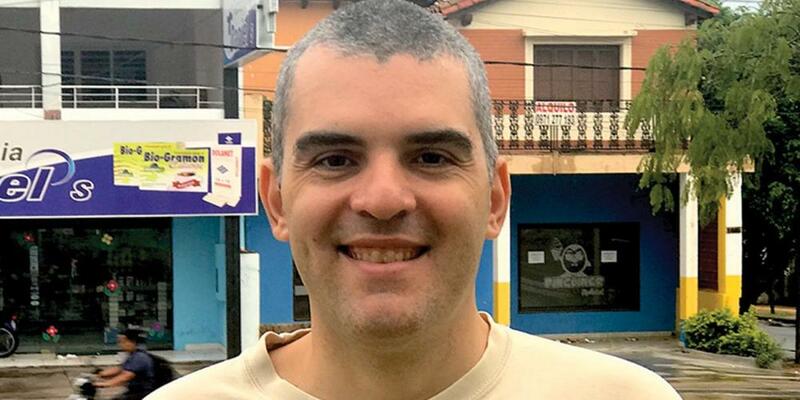 Today, Gustavo Javier Caballero is 40 and works as a literature evangelist and massage therapist. He also is an active participant of a community center attached to Nueva Sajonia Seventh-day Adventist Church, a 2016 Thirteenth Sabbath project.